Do you like writing? Do you also like receiving letters via the old-fashioned letterbox at the front of your yard? Delivered by a real, live postman on a noisy motorbike? One of my greatest joys is receiving snail mail from close family and friends. I never know who might write to me – or what their latest news might be. It takes time to write snail mail, but that also makes the treasure all the more prized. This week, I had double the tr easure in one day. These two snail mail letters (left) arrived in my letterbox. They were cause for a special celebration because my nine-year-old niece, Katie, wrote to me for the first time. The other letter was from my 90-year-old aunt, Miriam. This is probably the 900th time she’s written to me, but no matter how many times I receive a letter from her, it still feels wonderful, like she’s actually visiting me in person. I’m so happy that my niece and nephew have discovered the same joy of letter writing and receiving that my aunt shared with m e from a very young age. 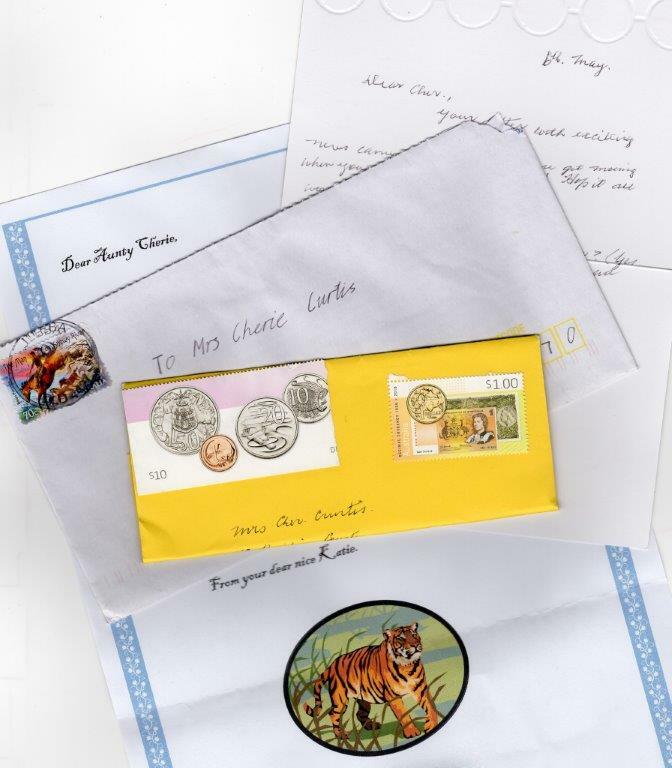 Have you ever written to a relative or a friend? Writing snail mail helps clarify your thoughts, discover your writing voice and enables you to share with friends. Will you accept the Snail Mail challenge? 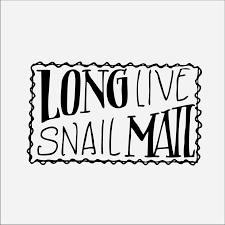 Who can you write a snail mail to today? This entry was posted in Dragon News, Uncategorized on June 4, 2016 by admin.